Children's Village Montessori (Preschool & Kindergarten- DuPont, WA) | Children’s Village is a progressive, structured Montessori school located in historic DuPont, Washington. Our highly trained staff guide preschool through kindergarten students in curriculum including, but not limited to: language arts, math, science, botany, zoology, geography, engineering, practical life, sensorial, music, art, theatre, cooking, sewing and gardening. Children’s Village is a progressive, structured Montessori school located in historic DuPont, Washington. Our highly trained staff guide preschool through kindergarten students in curriculum including, but not limited to: language arts, math, science, botany, zoology, geography, engineering, practical life, sensorial, music, art, theatre, cooking, sewing and gardening. located in historic DuPont, Washington. 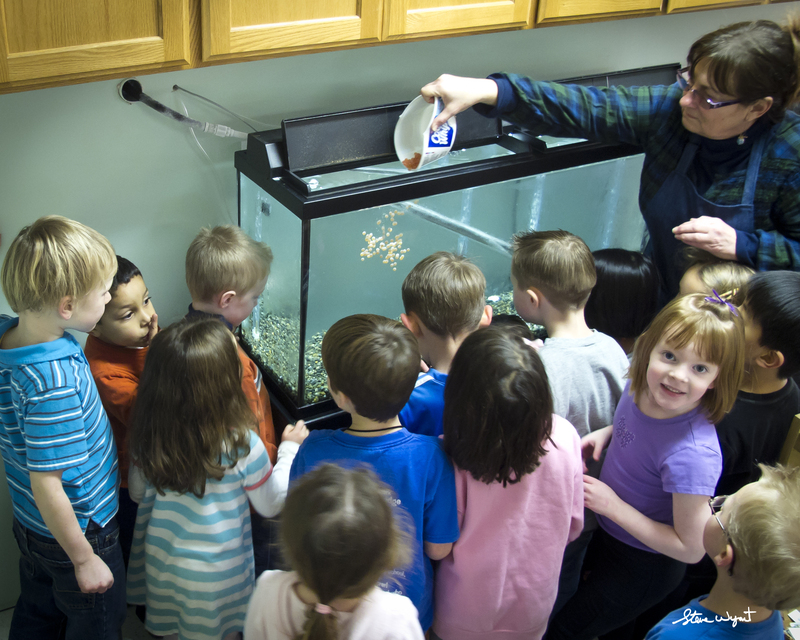 In our classroom, Montessori learning materials are arranged invitingly on low, open shelves. Children may choose whatever materials they would like to use and may work for as long as the material holds their interest. When they are finished with each material, they return it to the shelf from which it came. 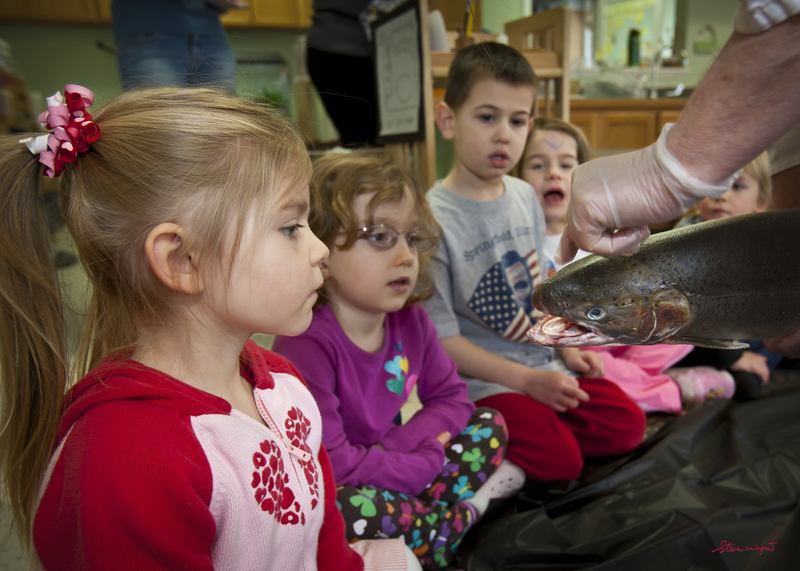 Every spring, we raise salmon in the classroom. 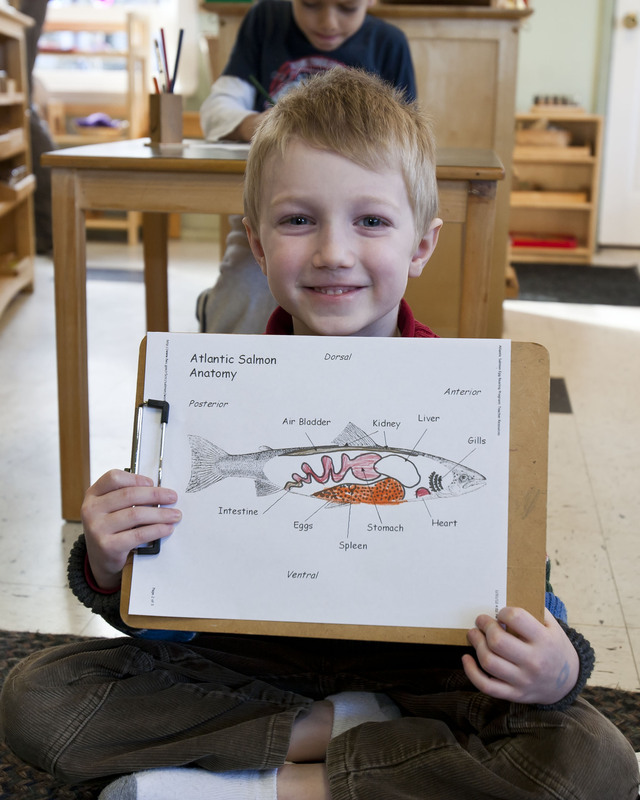 Our students learn about the salmon’s habitat, life cycle, and anatomy. When the salmon are big enough, we release them into Sequalitchew Creek here in DuPont. In this picture, Ms. Crystal is depositing eggs into the tank. Click on photo for larger image. We are all proud of what we do here at Children’s Village Montessori. Click on photo for larger image. Moments later her hands were on the salmon. Click on photo for larger image.